LuxuriousPROTOTYPE: Eleven Madison Park, Esquire Magazine and Nat Sherman Cigars Partnered to Host the 3rd Annual Kentucky Derby Celebration in NYC. 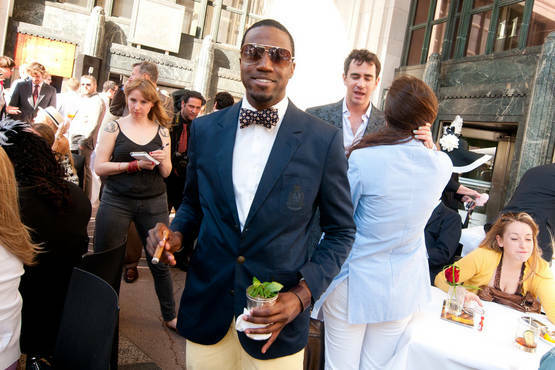 Eleven Madison Park, Esquire Magazine and Nat Sherman Cigars Partnered to Host the 3rd Annual Kentucky Derby Celebration in NYC. 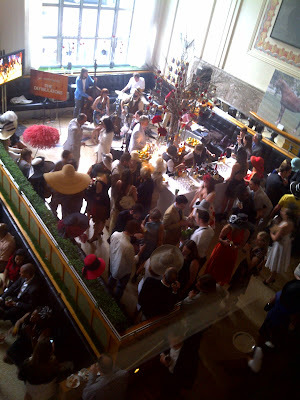 On Saturday May 7, 2011 I had the great opportunity to attend the 3rd Annual Kentucky Derby Celebration hosted by Eleven Madison Park, Esquire Magazine and Nat Sherman Cigars. 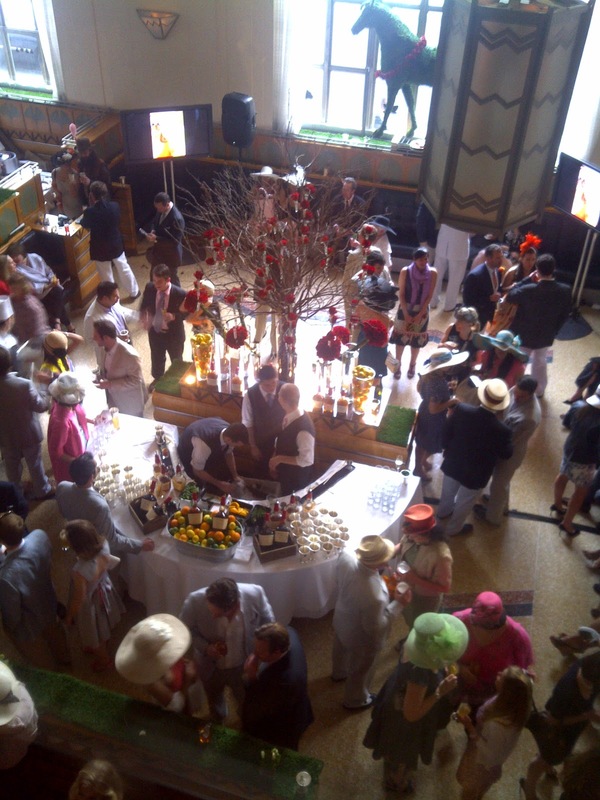 The restaurant, Eleven Madison Park was transformed into the perfect Derby event. 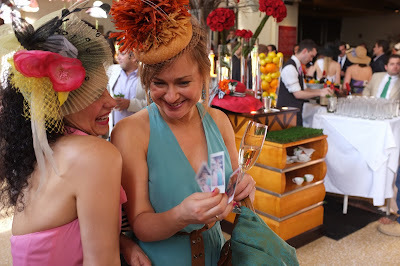 In true Kentucky Derby fashion women wore big floppy hats and the gentleman were dressed in seersucker suits, pastel pants, blazers and oxfords. 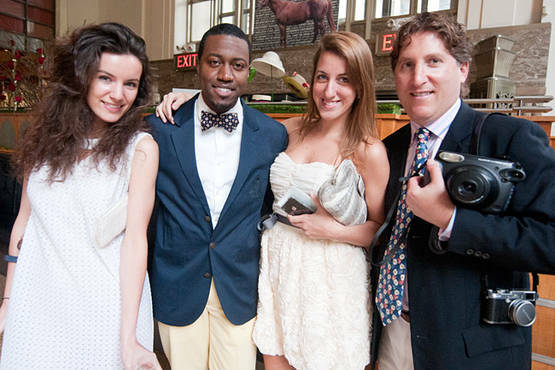 Besides the well dressed guests the event was filled activities. Upon arriving to Eleven Madison Park I was greeted by a welcoming entrance song played by a trumpeter. 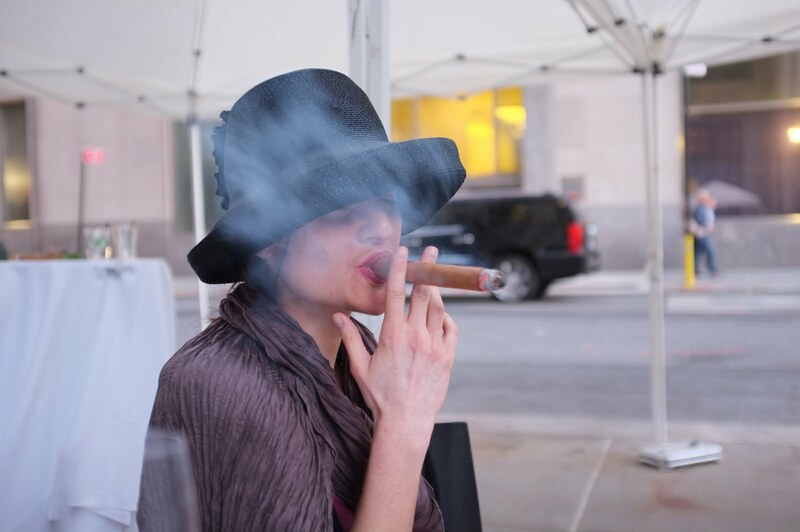 Outside there was a cigar lounge sponsored by Nat Sherman. 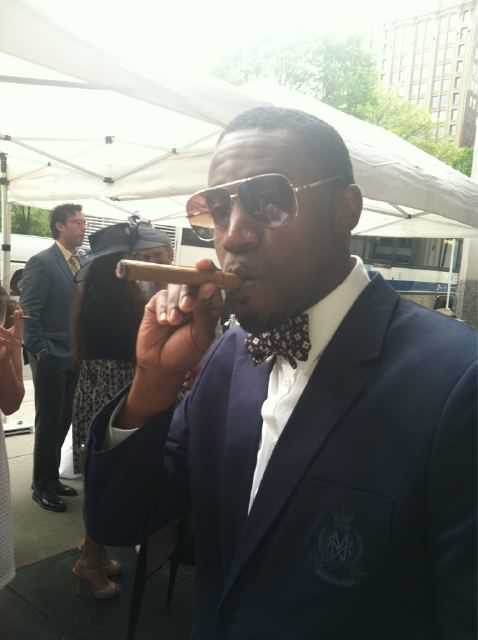 I was able to sample some of the best Honduran, Cuban and Dominican cigars there are! While puffing on cigars the guests in the lounge area listened to a band that played traditional Kentucky Bluegrass Music. As you traveled inside you were greeted by this enormous flower arrangement made up of entirely roses to signify the Kentucky Derby and another band playing Bluegrass music. 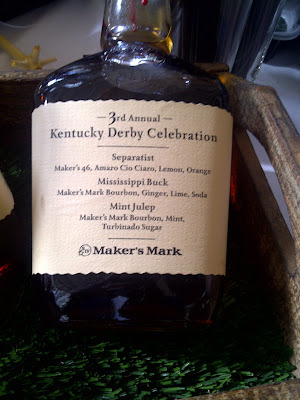 As I walked through the space I saw three large bar where mixologist were making specialty cocktails using Maker's Mark. As I made my way through the crowd I noticed a table full of desserts such as cotton candy, peanut brittle, fudge, caramel popcorn and macaroons. 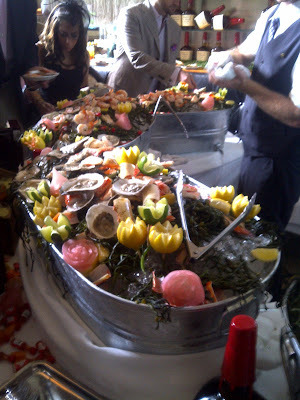 If your mouth is not watering by now there was also a raw-bar station which seemed like an unlimited supply of oysters, shrimps and crab claws. 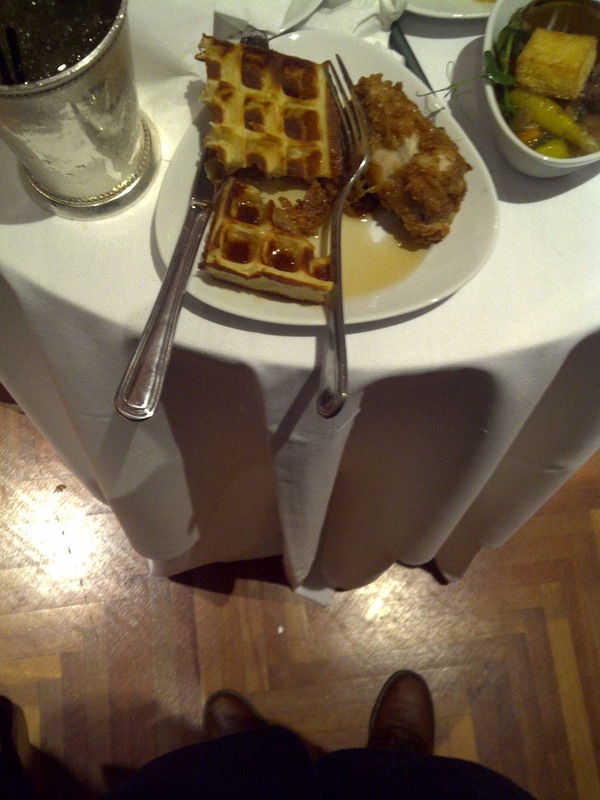 Partially stuffed at this point, I made my way up to the second floor to check out the Kentucky themed cuisine prepared by Chef Daniel Humm that everyone was ranting and raving over. On the menu was chicken and waffles with drizzled bourbon syrup. In addition to the amazing chicken and waffles there was bourbon stew soup. If you haven't noticed by now there was plenty of bourbon. 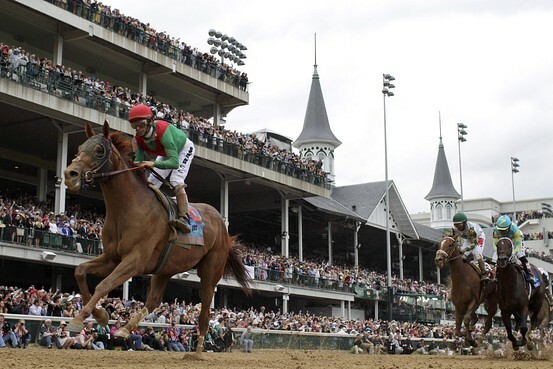 Nothing was more exciting than actually watching the race. It seemed as if everyone was going for the same horse, #7 Pants on Fire. All you could hear was the crowd chanting, screaming and clinking their glasses in hopes that their pick would win. At the end #16 Animal Kingdom took to prize for the 137th Annual Kentucky Derby. All in all this was an amazing experience! It was too much to be called an event, in my opinion. It was executed with great detailing. 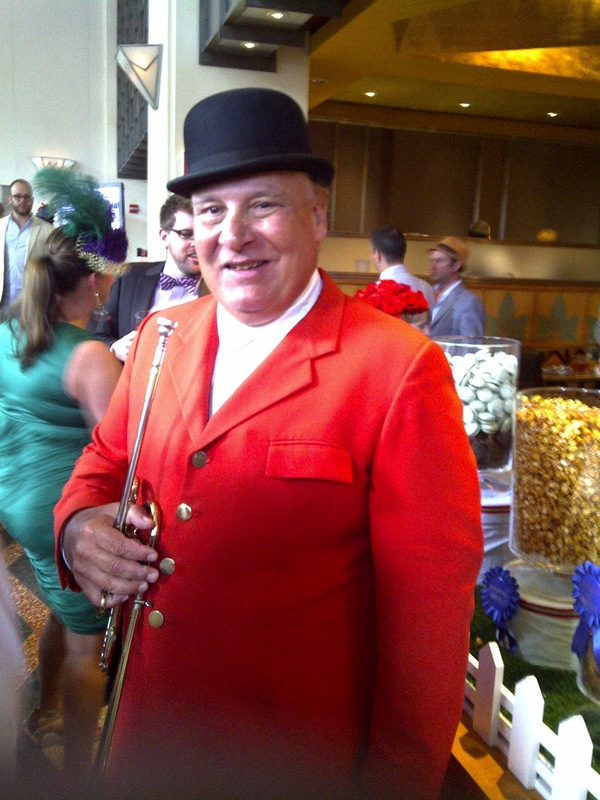 I look forward to the 4th Annual Kentucky Derby Celebration! That seemed exciting! Great coverage and details; almost felt as if I were there.